SIGNWAVE® is part of the multi billion dollar print and graphics industry that primarily caters to the business to business customer. Companies of all sizes continually have the need to inform, direct and sell to their customers and work colleagues. In most cases large, vivid, targeted and directed signs and graphics are the ideal solution. 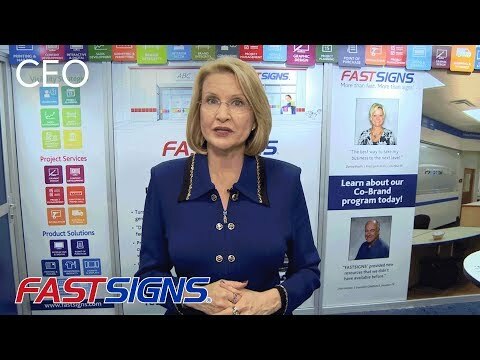 SIGNWAVE® is part of the successful FASTSIGNS® sign and graphics franchise system. Established in 1985, FASTSIGNS® is a pioneer and recognised industry leader with more than 600 franchised units internationally. SIGNWAVE® first entered the Australian market in 1995. Currently, there are 15 centres operating throughout Australia. We have opportunities in New South Wales, Victoria, Brisbane and The Gold Coast in Queensland. SIGNWAVE® centres use advanced technologies and digital sign-making systems to create a full range of custom signs and graphics. Centres offer a range of services including signs and graphics, exhibits and displays, interior decor, promotional products, point of purchase, and interactive and digital displays. We tailor the complete design, manufacture and installation to world class standards. No signage, graphics or design experience needed. Be an expert day one with our experienced staff supporting you in every aspect. The typical franchisee tends to be self-motivated, commercially minded with a clear understanding of the importance to drive sales. Exceptional people skills and a desire to succeed is a must. As a SIGNWAVE® owner, you will establish relationships in your territory with local business and corporate clientele. We have detailed information available.